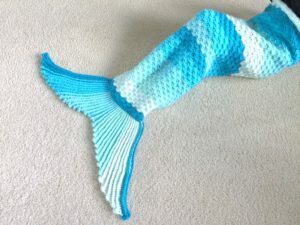 I have been waiting on forever to design a mermaid tail blanket. I knew my girls will love it but I never found a pattern that I like it enough to hunt down the right kind of yarn to make it. Until this beautiful Caron Cakes yarn came out last year and I was like “this is it!”. I found the perfect yarn for my project. 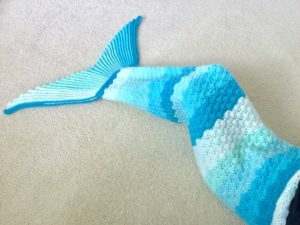 I decided to stop looking for other designers’ creations and designed my own Sophie mermaid tail blanket pattern for my little girls. 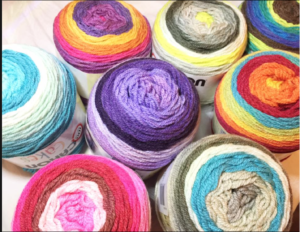 Caron Cakes Yarns are so beautiful, I stocked up on them when I could. Now, they have new colors came out and I need to hunt down the pistachio color, they are so popular and hard to get my hands on them. This entry was posted in Crafts 手作仔, Creations, Crochet and tagged adult, caron cakes, cherry chip, child, Crafts, crochet, diy, etsy, faerie cake, fiber arts, girls, handicrafts, handmade, Ling Wong, Little Panda Mommy Creations, mermaid tail blanket, pattern, rainbow sprinkles, ravelry, size, skill share, teen, women, yarn on January 22, 2017 by littlepandamommy.